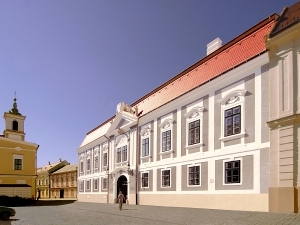 The Dubniczay house opposite the Episcopal Palace is the border building of Vár street and Szentháromság square. This building houses the collection of Károly László, an art collector living in Basel. The Tequilarium of the Hungarian Building Industry Museum has been deservedly placed here.